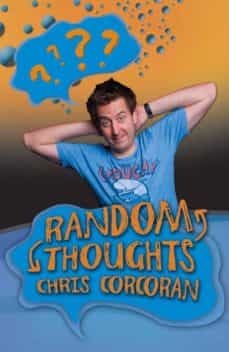 Chris Corcoran opens his mind to share every thought hes ever had, in his own random order.There are insights into his life as he takes readers back to his Eighties school disco days to reveal how the greatest moment of his teenage years was ruined by Queens Radio Ga-Ga. He also shares the wisdom of his life experience from his time on CBeebies Doodle Do with a lesson on the dangers of toilet roll.And he answers many of lifes great questions...Why isnt optimism enough to complete a marathon? Why does food taste better in a field? And, more importantly, what is the point of Petit Filous? These thoughts and more are all here, delivered in his unique affectionate and charming way. "Quick Reads" are exciting, short, fast-paced books by leading, bestselling authors, specifically written for emergent readers and adult learners.